Commissioning of the plant was completed on 8 May. 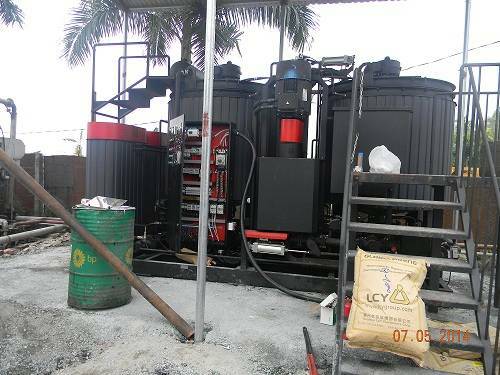 The UVB-2 unit (22 m3/hour production capacity) was supplied to one of the country’s construction companies to modify bitumen with polymer. Modified bitumen, produced with GlobeCore’s UVB plant, is used in repair and construction of roads, bridges and overpasses. Such equipment is important for facilities, engaged in repair and production of asphalt road top, water-proofing of buildings and soft roofing.